In most states the color or luminosity of neon lights attached to the car is restricted by law. Enthusiast drivers can take things too far sometimes, and to ensure other drivers don’t get distracted by overly flashy vehicles there are laws prohibiting certain aftermarket vehicle modifications. For neon underglow, most of these laws are found under “Unlawful vehicle modifications” and “Lighting requirements” sections of Georgia Code. In the state of Georgia (GA), neon underglow lights are considered legal to use, but there are some restrictions you must be aware of. Below you can find the basic overview of laws pertaining to neon car lights in Georgia. Are neon underglow lights legal in Georgia? Unless it’s directly prohibited by law, underbody lights are considered legal. Georgia laws permit installing any aftermarket or non-mandatory lights as long as they’re not in violation of any vehicle laws, thus using neon underglow in Georgia is legal. Georgia laws do not in any way prohibit installing underglow or underbody lights. GA vehicle equipment regulations mostly speak of mandatory vehicle lights, but also have restrictions on which kind of vehicle lighting and colors are permitted. Based on this, vehicle lights which are illegal to use are any flashing, oscillating, moving or otherwise non-stationary lights, and any blue-colored lights. Georgia prohibits using vehicle lighting which is color red, blue, green, or purple. These colors are typically used on emergency vehicles and are explicitly prohibited on civilian vehicles in this state. During a traffic stop we do not recommend telling police offers your underglow can change color. The ability to display blue color may be considered an excuse for them to cite you. By Georgia laws even possession of a device which can emit blue color is illegal. 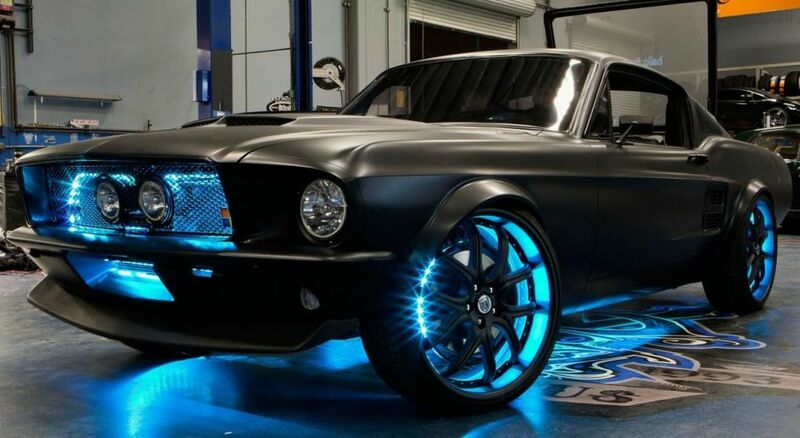 Underglow system which is outside the law may result on you getting cited for a non-moving traffic violation, in which case you will be required to modify your car to conform to standards, as well as pay a fine. In Georgia operating a vehicle which is not up to state regulations is considered a misdemeanor. Displaying red, blue, green or any combinations of these colors with white can lead to further penalties and fines. You can be charged with impersonating an emergency vehicle which is a serious crime with severe penalties. Penalty for displaying blue lights is a misdemeanor, but if used during a crime the punishment can rise to a $1,000 fine and up to one year in jail. Vehicles in violation of Georgia Vehicle Equipment laws may be subject to an inspection by law enforcement, and no warrant or other violation is necessary. Disclaimer: this website in no way condones or suggests using illegal vehicle equipment. While we believe neon underglow in Georgia is legal as there are no laws against it, law enforcement may still decide to issue a ticket. Use underglow at your own risk, and preferably only on private property! This article about Georgia Neon Underglow Lights Laws was last updated on March 28, 2019 at 9:53 pm. If any of our information is incomplete or outdated please let us know. Thank you!